James Bond - The Secret Agent: A big James Bond auction is heading your way! It happens every time there is a James Bond film coming out. The big auction houses in Great Britain knows that the geeks are all syked about a the upcoming film and are therefore more keen to buy James Bond items for their collection. 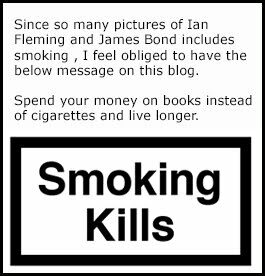 I am like that and I am pretty sure that you, the reader of this blog is just the same. So there have been many auction houses selling James Bond collectables this fall (since SPECTRE) has been released) but soon the biggest of them all will hit us like a fist from Mike Tyson. I am obviously talking about the BIG JAMES BOND SALE held by Vectis auctions Inc. 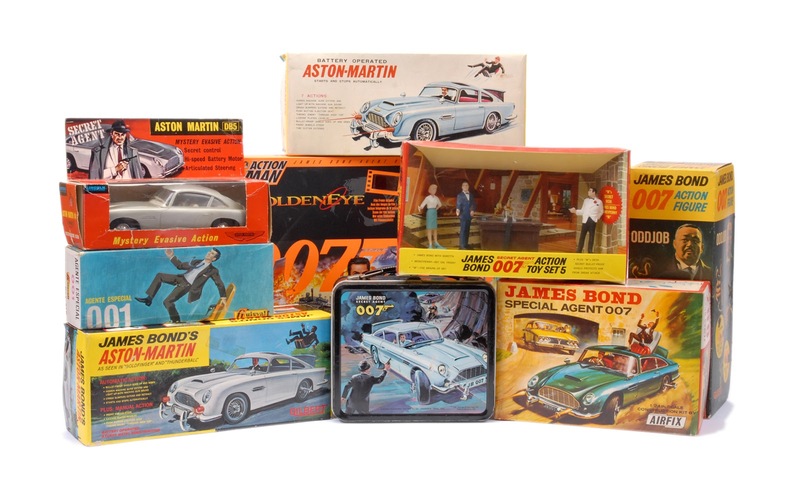 They will have 669 lots with James Bond items up for sale on Wednesday 25th November at 10:30am. 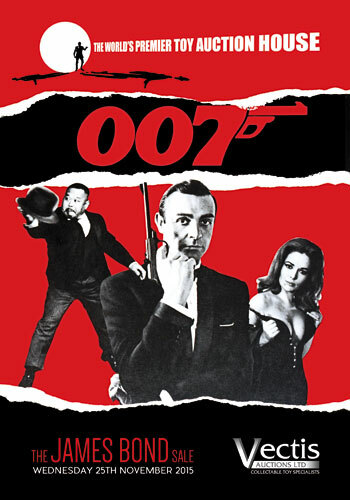 spanning every James Bond film produced. Predominantly made up of one private owner collection the sale will include a vast array of vintage to modern items, from Gilbert figures and accessories, tinplate and Diecast vehicles to a large assortment of poster and film ephemera. Items include Point of Sale material from Yves St. Laurent, and L'Oreal; magazines including GQ and Empire, promotional clothing, and a Zippo Lighter display. There is a large collection of posters, lobby cards, stills and leaflets from the films, and exhibitor campaign books which feature advertising and marketing material for exhibitors involved with the release of the motion pictures. Also being auctioned in this sale are facsimile copies of the film screen plays including Dr. No, Moonraker and For Your eyes only plus others. Plus many more items. Check out all you have to know about the action, including pictures of everything fore sale, HERE!